So this past two days I spent my time at a debate tournament of which I had some interesting things happen to my partner and I. We ended up two and two for the tournament, with one of the rounds we lost being pretty close but they dropped one of our arguments which means generally that we should of won, and the other one we lost the other team dropped five arguments and said that they needed executive order from the President and then I stated in the questioning period that obama wouldn’t go for it and they actually agreed with it. So of course my partner and I feel a bit cheated out of quarters, but the cool thing is that we have still not lost an affirmative round this year. Plus one of the teams that faced us actually forfeited after hearing it, hahaha. Lets move to the serious stuff now. Today I was able to do my two hour ride and low and behold my Dad actually came out for the first half of the ride and thank goodness we had a monstrous tail wind. However, when we left the bike shop, (we went to get my derailleur fixed), we headed into the headwind, so wouldnt you know it my Dad called in some help and got picked up by my Mom, haha. Speaking of derailleur issues; I have been having all kind of issues ever since I started traveling via air to races and training camps since some buffoon baggage handlers seem to think they can jump on my case, stand on it to get to other bags or perhaps using it to prop themselves up as they fuel the jet liners and even throw my bike case around likes its a regular bag like a freakin guerilla while traveling. So at this point I have gone through several hangers now, but it turns out that I had more than just a bent hanger, I had a couple of issues with my frame alignment which I had fixed but it still didn’t completely solve the problem so my dad had a great idea since it was still skipping on my back cog and that was to switch his rear derailleur on his bike with mine and see of that didnt fix it and he was right. Problem solved and it shifts like butter now. I will say its a good start for him, although I had the joy of going back into the head wind the entire time and it was just brutal. 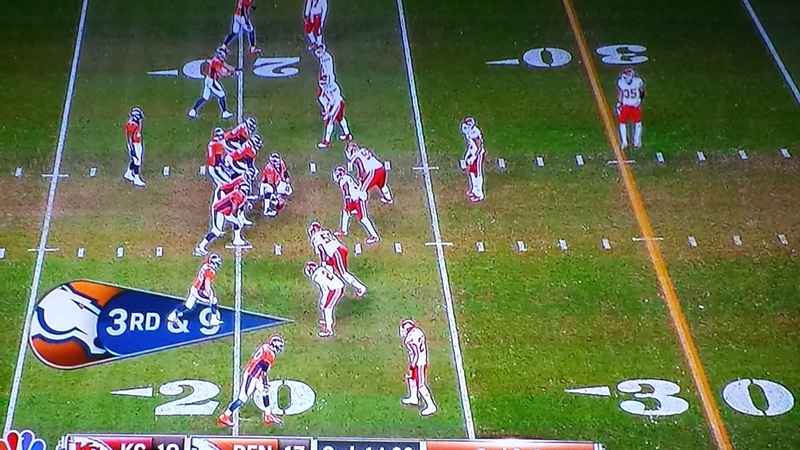 Now I am watching Peyton Manning beat up on the Chiefs. For anyone that asks I don’t live in KC I live in Grandview Missouri, hahah. I just love it because the Chiefs haven’t won a playoff game in like twenty years or something and I am sick of all of these Chiefs fans, who come out of the woodworks this year, screaming 9-0, when the best team they have beaten this year has a record of 6-5.